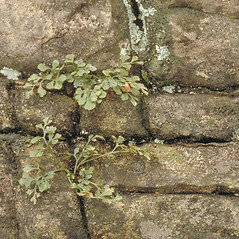 Wall-rue spleenwort is found in Appalachia and New England as well as parts of Europe and Asia. In our area it is confined to western New England (with a disjunct population in Rhode Island), where it inhabits high-pH rocks and cliffs. 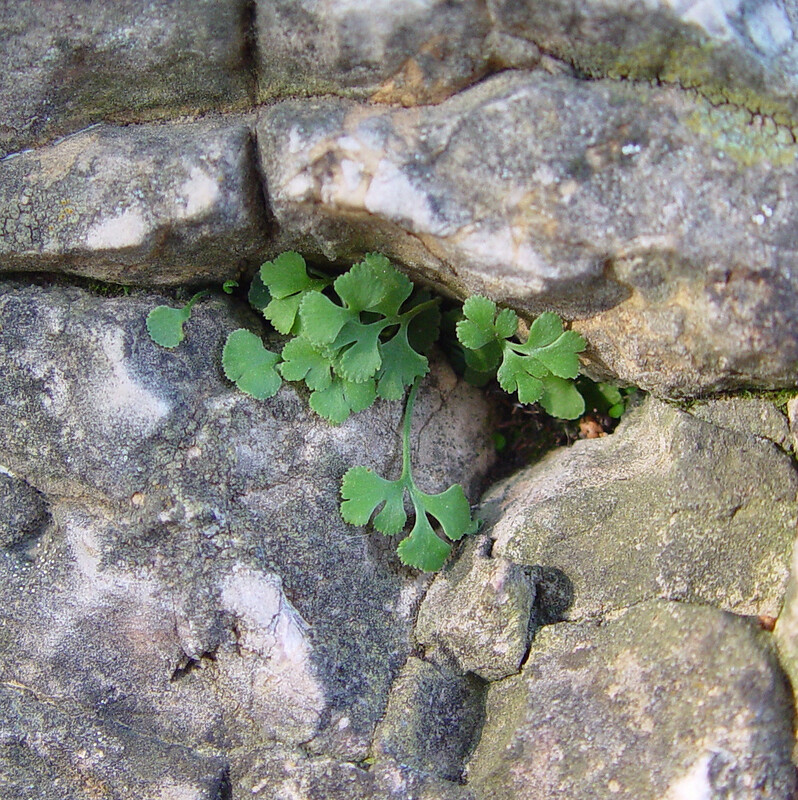 In some places it also invades masonry walls. 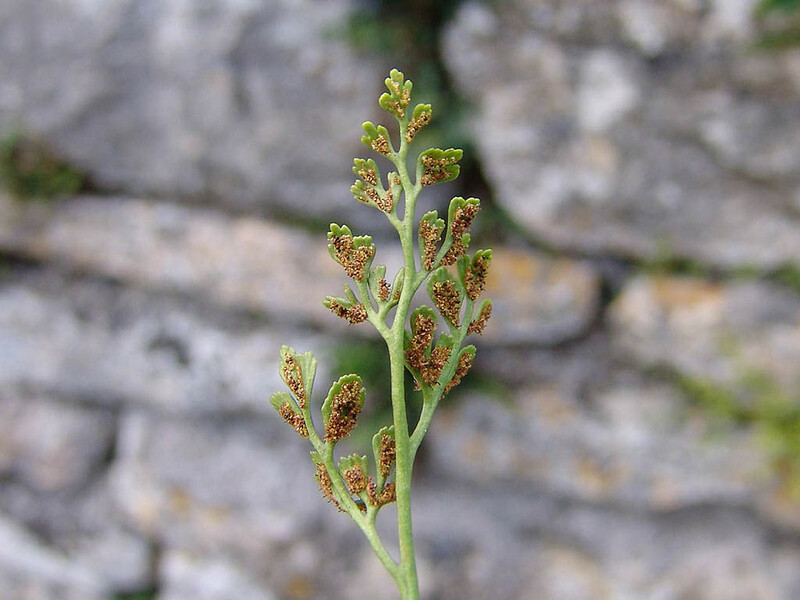 leaf blades usually with 5-10 pairs of leaflets, shiny green in life, with triangular-lanceolate to triangular-ovate leaflets (vs. A. ruta-muraria, with leaf blades usually with 2-5 pairs of leaflets, dull blue-green in life, with rhombic to obtriangular-obovate leaflets). 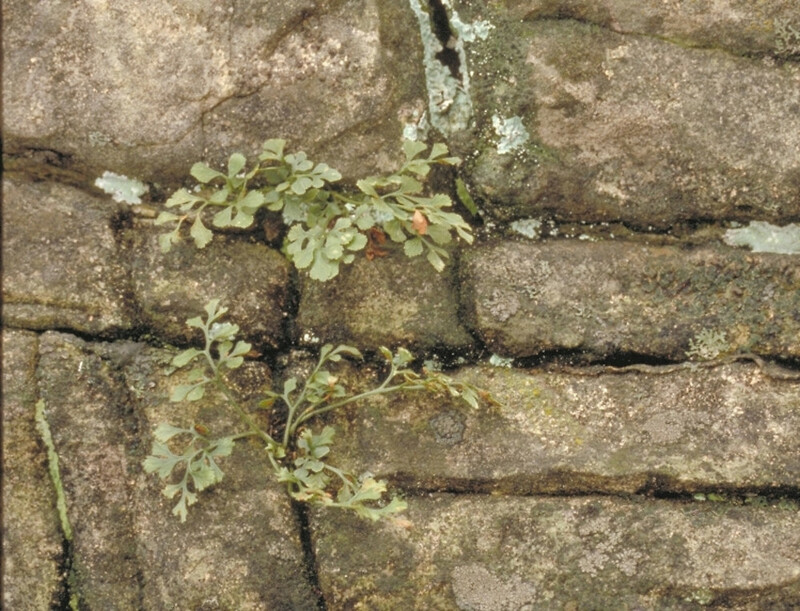 wall-rue spleenwort. 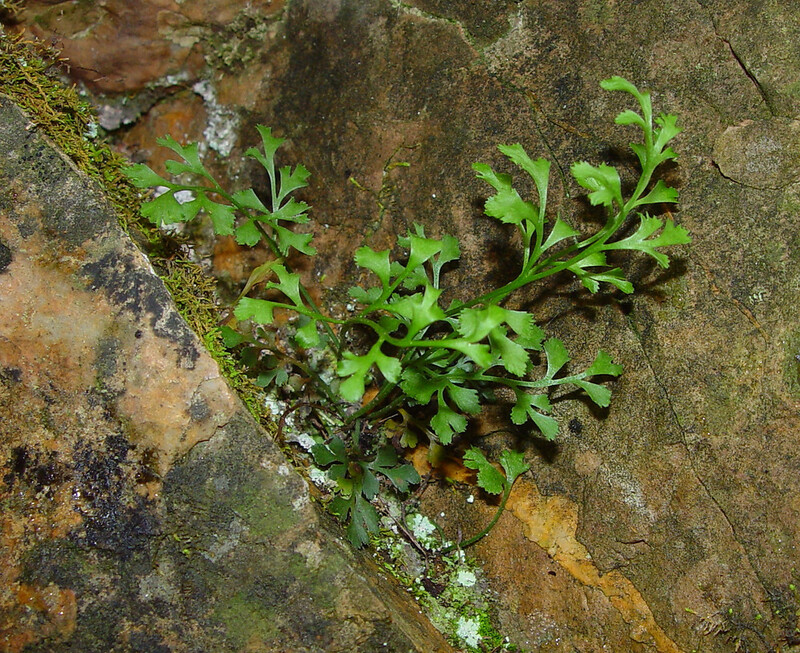 Asplenium cryptolepis Fern. 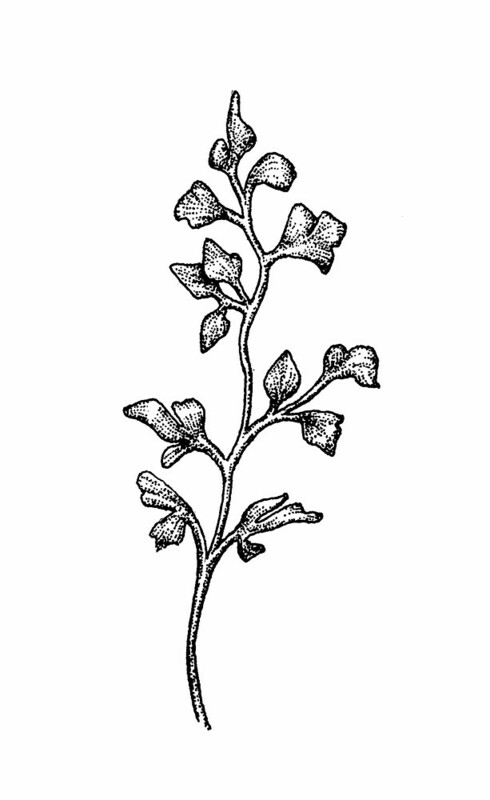 ; A. ruta-muraria L. var. 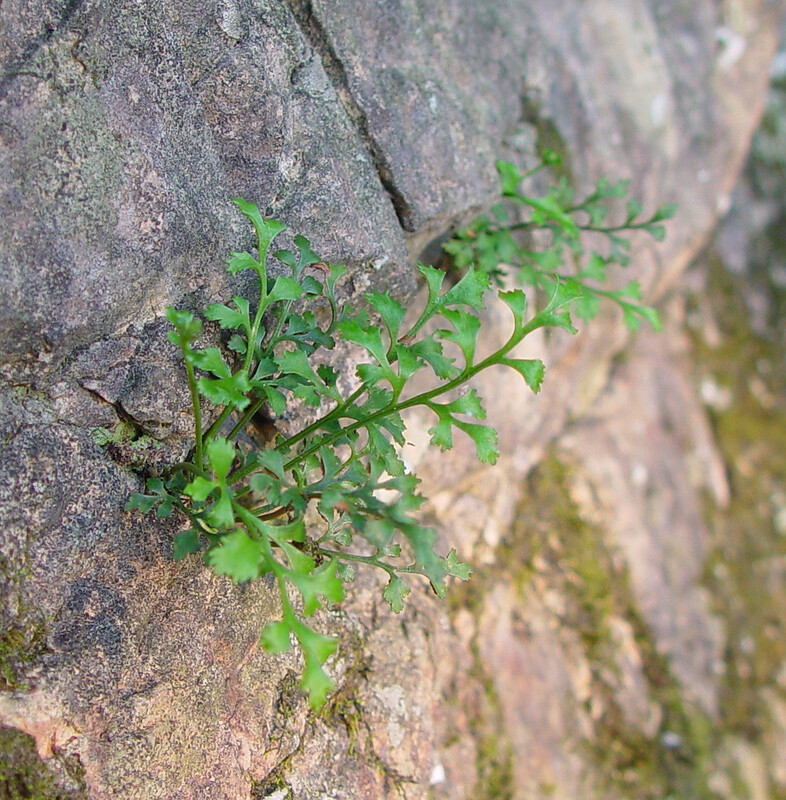 cryptolepis (Fern.) Wherry • CT, MA, RI, VT; primarily western New England, the RI occurrence very disjunct. 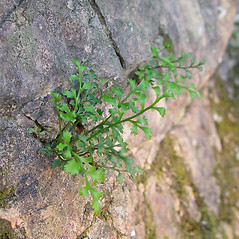 High-pH rocks and cliffs. 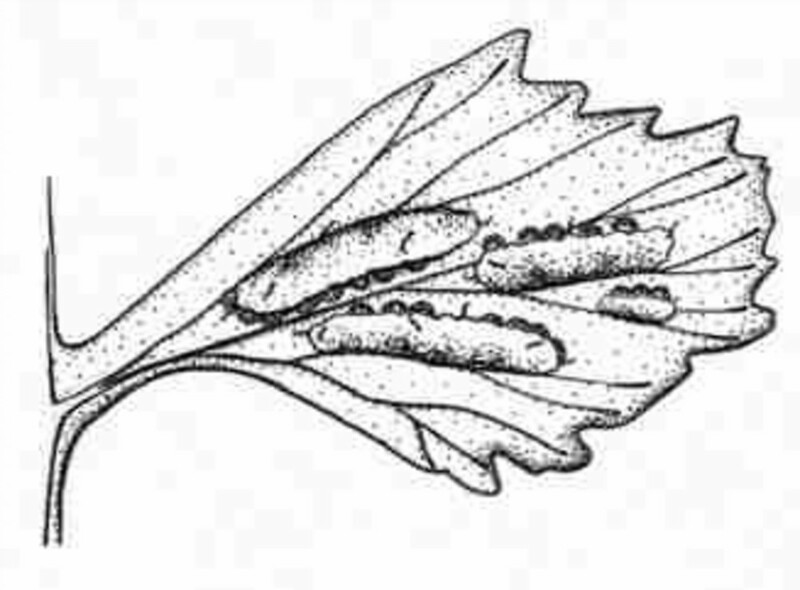 Reports of this species from RI are based on a specimen (at BRU) that was collected by someone who lived in East Greenwich, which has been misinterpreted as the location of the collection. 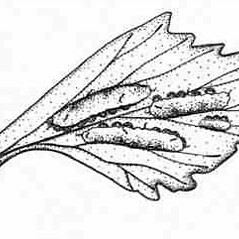 The specimen is not known to have been collected in RI. 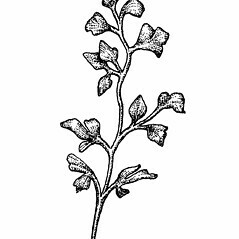 4×5. 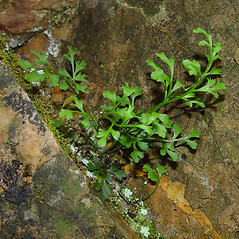 Asplenium ruta-muraria × Asplenium trichomanes → Asplenium ×‌clermontae Syme is an extremely rare spleenwort hybrid known from VT. 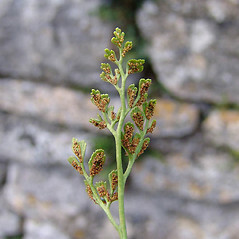 It resembles A. trichomanes in general outline (i.e., it has once-pinnately compound leaf blades), but the leaflets are lobed (especially the larger ones) and the rachis is green (rather than brown-red to black-brown).